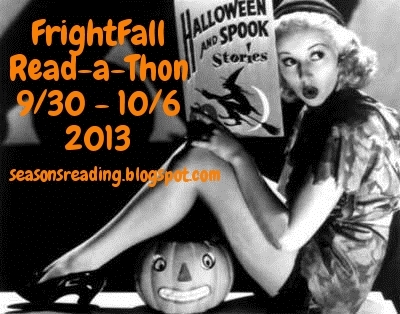 I've been participating in the FrightFall Read-a-Thon hosted by Michelle at Seasons of Reading this week. The only requirement is that you read at least one spooky book during the week. When I asked my son which one I should read, he suggested The Legend of Sleepy Hollow by Washington Irving, which he read recently. So that's on my list for this weekend. In the meantime, I've been plugging away at my October book club selection, Cutting for Stone by Abraham Verghese. I've read about 300 pages already this week! But I still have a long way to go. Hope you enjoy The Legend of Sleepy Hollow , I need to read it one of these days! And Cutting for Stone was a loooong read...very slow paced if I recall.